JIMI HENDRIX-BOTH SIDES OF THE SKY. From the moment that Jimi Hendrix saw T-Bone Walker playing his guitar with his teeth he took it as a challenge, and was determined that one day, he would be able to replicate what he had just witnessed the veteran bluesman do. In years to come, this became part of Jimi Hendrix’s routine as he took the stage with The Jim Hendrix Experience and later with The Band Of Gypsy’s and played his guitar as if his life depended upon it. Although Jimi Hendrix was a technically brilliant guitarist he was also a showman, and some nights, Jimi played his guitar behind his back, other times played it with his teeth and even set on one occasion even set his guitar on fire. It was as if Jimi Hendrix was trying to exercise some inner demons through the medium of music during a career that spanned just four years. Between 1967-1970, Jimi Hendrix released just three studio albums and one live album before his career was cut tragically short. Music was robbed of one of its most talented sons when Jimi Hendrix passed away on September the ’18th’ 1970 aged just twenty-seven. 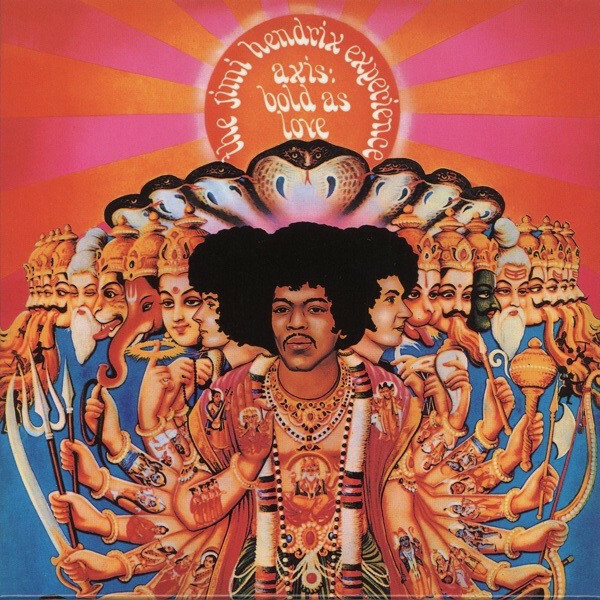 However, he left behind a rich musical legacy, which included the musical holy trinity of Are You Experienced, Axis: Bold As Love and Electric Ladyland plus The Band Of Gypsy’s eponymous live debut album. These albums however, only tell part of the story. Since Jimi Hendrix’s death, there’s been a number of posthumous releases, including twenty-two live albums and twelve studio albums. That number just rose to thirteen with the release of Both Sides Of The Sky by Sony Music. It’s the third instalment in a trilogy of compilations of posthumously released archival recordings that were meant to feature on the followup to Electric Lady. This began with 2010s Valleys Of Neptune and continued with 2013s People, Hell and Angels. 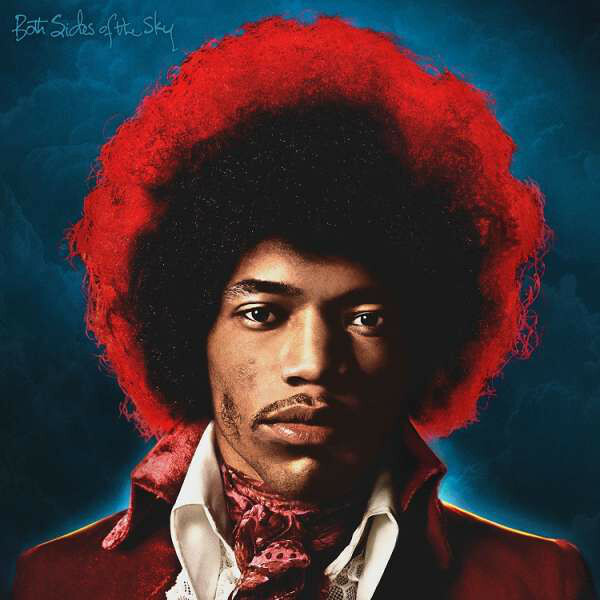 Now Both Sides Of The Sky is the final instalment and transports the listener back to the late-sixties when Jimi Hendrix was at the peak of his powers and it looked as if he was about to enjoy a long and illustrious career. This began in 1967, when the charismatic musical maverick released his debut album, which was a gamechanger. That was apparent from the moment critics heard The Jimi Hendrix Experience’s 1967 explosive debut album Are You Experienced. It showcased the considerable talents and chemistry of the now legendary power trio, which featured a rhythm section of drummer Mitch Mitchell, bassist Noel Redding and guitarist Jimi Hendrix. They had recorded eleven tracks penned by Jimi Hendrix which fused rock and psychedelia. These eleven tracks became Are You Experienced, which was recorded between October and April 1966 at three of London’s top studios. Joining The Jimi Hendrix Experience in De Lane Lea At Studios, CBS, and Olympic Studios, in London was Chas Chandler who took charge of production. The former Animals’ bassist had a wealth of experience and guided The Jimi Hendrix Experience through the recording of Are You Experienced. Once it was completed, Are You Experienced was released in Britain in May 1967. Prior to the release of Are You Experienced, critics hailed the album as one of the greatest debut rock albums ever recorded. This was no exaggeration as Are You Experienced was a groundbreaking fusion of rock and psychedelia that was way ahead of the musical curve. It featured future Jimi Hendrix classics like Foxy Lady, Third Stone from the Sun and Are You Experienced. At the heart of the album’s sound was the freewheeling sound of Jimi Hendrix’s guitar. He could do things other guitarists could only dream of, and unleashed a series of breathtaking performances on Are You Experienced? Add to the equation Jimi Hendrix’s languid, charismatic vocal and it’s no surprise that Are You Experienced was such a huge commercial success. 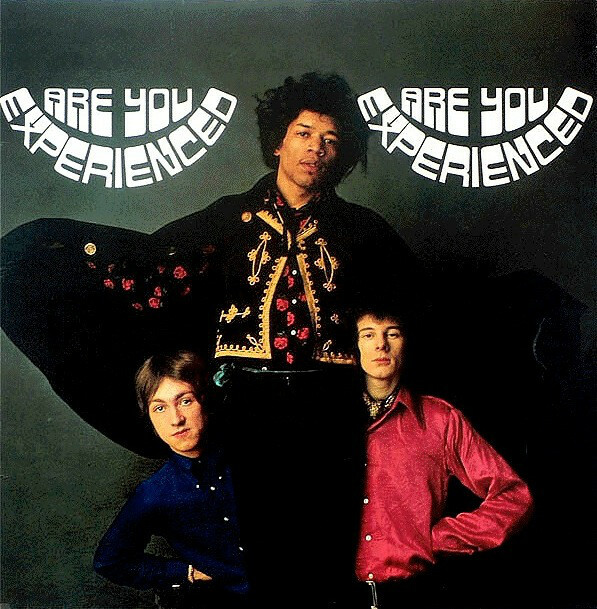 When Are You Experienced was released in Britain, on the ‘12th’ of May 1967, it reached number two, and this resulted in a gold disc for The Jimi Hendrix Experience. However, soon, things would get even better for The Jimi Hendrix Experience. Three months later, in August 1967, Are You Experienced was released in America and it reached number five on the US Billboard 200, and went on to sell over five million copies. This resulted in Are You Experienced certified platinum five times, and was the start of a three-year period where Jimi Hendrix could do no wrong. Seven months later, on the ‘1st’ of December 1967, The Jimi Hendrix Experience returned with their sophomore album Axis: Bold As Love in the UK. It featured thirteen tracks, including twelve penned by Jimi Hendrix. These tracks showed that Jimi Hendrix was already maturing and evolving as a songwriter. He may have just been twenty-five, but he was a talented songwriter. Proof of this were tracks like Spanish Castle Magic, Wait Until Tomorrow, Castles Made of Sand and Bold As Love. They featured Jimi Hendrix coming of age as a songwriter, and were recorded at one of London’s top studios. Recording of Axis: Bold As Love took place at Olympic Studios, London and began in May 1967 and continued into June. However, when the album wasn’t completed, The Jimi Hendrix Experience returned to the studio in October to complete the recording of Axis: Bold As Love, which was scheduled for release later in 1967. The contract that the Jimi Hendrix Experience had signed stipulated that the band had to release two albums during 1967. They had completed the album just in time for Track Records to release the album at the start of December 1967. However, before that, disaster struck for Jimi Hendrix. One night, Jimi Hendrix took the master tapes to side one of Axis: Bold As Love to listen to at home. Unfortunately, he left them in a taxi, and despite a frantic search for the master tapes they were never found. This resulted in side one having to be mixed again, which was a delay that everyone could do without. Fortunately, this didn’t delay the release of Axis: Bold As Love. Axis: Bold As Love, was released in Britain, on the ‘1st’ of December 1967, and was released to the same critical acclaim as Are You Experienced. Critics ran out of superlatives in an attempt to describe Axis: Bold As Love where The Jimi Hendrix Experience flitted between and sometimes combined blues rock, psychedelia and rock. It was a heady and irresistible brew that once tasted was unforgettable. In the reviews, Jimi Hendrix was described as some sort of musical messiah, who had music’s future in his hands. Record buyers agreed with the critics description of Axis: Bold As Love when they heard the album. When Axis: Bold As Love was released in Britain, it reached number five and was certified silver. This must have been slightly disappointing as Axis: Bold As Love hadn’t replicated the success of Are You Experienced. However, The Jimi Hendrix Experience knew that Axis: Bold As Love was still to be released in America, where their debut had sold five million copies. A decision was made not to release Axis: Bold As Love during 1967, in case it affected sales of Are You Experienced. It wasn’t until January the ‘15th’ 1968, that Axis: Bold As Love was released in America and reached number three in the US Billboard 200 and was certified platinum. Just like in Britain, Axis: Bold As Love had failed to replicate the success of Are You Experienced, which was disappointing. However, by then, Jimi Hendrix was riding the crest of a musical wave. By October 1968, when The Jimi Hendrix Experience were preparing to release their third album Electric Ladyland, Jimi Hendrix was one of the most successful musicians in the world. His albums sold by the million, and when The Jimi Hendrix Experience played live, they were one of the hottest live acts. Proof of that was Electric Ladyland which was the most ambitious album of the Jimi Hendrix Experience. Unlike The Jimi Hendrix Experience’s two previous albums, Electric Ladyland was a double album that featured sixteen songs. Thirteen of these songs were penned by Jimi Hendrix while Noel Redding contributed Little Miss Strange. The other tracks were covers of Bob Dylan’s All Around The Watchtower and Earl King’s Come On (Let the Good Times Roll. These tracks, and the rest of Electric Ladyland were recorded at three recording studios. Recording sessions for Electric Ladyland took place at Olympic Studios in London and the Record Plant Studios and Mayfair Studios, in New York and began in July 1967 and continued right through until December 1967. After the festive season, The Jimi Hendrix Experience reconvened in January 1968 and spent four months completing their third album Electric Ladyland. It was completed in April 1968, and the release of Electric Ladyland was scheduled for release in October 1968. As soon as critics heard Electric Ladyland, they realised that this was The Jimi Hendrix Experience’s finest hour as they flitted between and sometimes combined blues rock, hard rock, psychedelia and rock on an album that oozed quality. Proof of that were tracks of the quality of Crosstown Traffic, Voodoo Chile, Voodoo Child (Slight Return), All Along the Watchtower and Gypsy. Electric Ladyland which featured future classics was hailed as the greatest album of The Jimi Hendrix Experience’s career and a future classic. Record buyers agreed. When Electric Ladyland was released in Britain, on the ‘16th’ of October 1968, it reached number six and was certified gold. Electric Ladyland had outsold Axis: Bold As Love and replicated the success of The Jimi Hendrix Experience’s debut album Are You Experienced. Nine days, later, on the ‘25th’ of October 1968 Electric Ladyland was released in America, and reached number one on the US Billboard 200. Having sold two million copies, Electric Ladyland was certified double platinum and the rise and rise of The Jimi Hendrix Experience continued. Just like their previous two albums, Electric Ladyland would later become a classic album. Electric Ladyland was the album that the Jimi Hendrix Experience were always capable of making and they had now fulfilled the potential that on an album that marked the coming of age for The Jimi Hendrix Experience. However, having just released the finest album of their three album career there was a twist in the tale for the Jimi Hendrix Experience. Electric Ladyland would be the Jimi Hendrix Experience’s final album and a fitting swan-song from a legendary power trio. Sadly, the Jimi Hendrix Experience would only ever take to the stage on two more occasions. Eight months after the release of Electric Ladyland, the Jimi Hendrix Experience played their last concert on June the ‘29th’ 1969 at Barry Fey’s Denver Pop Festival which was a three-day event held at Mile High Stadium. Little did anyone in the audience realised that they had witnessed last performance by the original lineup of the Jimi Hendrix Experience. While the Jimi Hendrix Experience played one further concert in 1970, to allow Jimi Hendrix to spread his message of universal love, it was without Noel Redding who had quite the band, and embarked upon a solo career. As far as he was concerned, it was the end of the road for The Jimi Hendrix Experience. By the time of the demise of The Jimi Hendrix Experience, its leader was the highest paid musician in the world. Promoters were desperate to add Jimi Hendrix to festival bills and the promoter of The Woodstock Music and Art Fair was no different. It was another three-day festival that was scheduled for took place between the ’15th’ and ‘17th’ of August 1969 on a dairy farm in the Catskill Mountains of southern New York State. Jimi Hendrix invited the invitation and would close the Woodstock Music and Art Fair. By the time Jimi Hendrix arrived at the three-day Woodstock Music and Art Fair, which had been eventful and sometimes chaotic, he was keen to showcase the new lineup of his band. It featured drummer Mitch Mitchell, replacement bassist Billy Cox and recent additions rhythm guitarist Larry Lee and conga players Juma Sultan and Jerry Velez. As the band took the stage it was 9am on the ‘17th’ of August 1969 ‘only’ 200,000 people watched on as MC Chip Monk introduced the group as the Jimi Hendrix Experience, but the bandleader was quick to clarify: “we decided to change the whole thing around and call it Gypsy Sun and Rainbows. For short, it’s nothin’ but a Band of Gypsys. With that, Jimi Hendrix unleashed what was a spellbinding performance that made musical history. At one point, the former paratrooper unleashed a breathtaking performance of The Star-Spangled Banner, and incorporated a myriad of feedback, distortion, and sustain to replicate the sounds made by rockets and bombs exploding during this incredible and spellbinding rendition of the American national anthem. Once again, Jimi Hendrix was able to make his guitar do things other guitars could only dream about as closed his set at 11:10 am having made musical history. After his triumphant appearance at Woodstock, Jimi Hendrix was keen to embark upon the next chapter of his career. By then, he knew that the Jimi Hendrix Experience were now part of musical history, and the time had come for him to form a new band. Those that attended Woodstock had heard Jimi Hendrix christen his new band the Band Of Gypsys. Just like the Jimi Hendrix Experience, the Band Of Gypsys was a trio, but Jimi Hendrix had firmed up the lineup which featured drummer Buddy Miles, bassist Billy Cox and Jimi Hendrix on guitar. The Band of Gypsys were already planning to record their debut live album on the ‘1st’ of January 1970. When the Band Of Gypsys took to the stage at Filmore East, in New York, on the ‘1st’ of January 1970, they had been busy rehearsing and writing six new songs. Jimi Hendrix had penned four tracks, including Who Knows and the funky, anti-Vietnam War song Machine Gun which featured on side one of Band Of Gypsys, He also wrote Power To Love and Message Of Love. Meanwhile, jazz drummer Buddy Miles, had written Changes and We Gotta Live Together. These six tracks found the Band Of Gypsys moving in a different direction from The Jimi Hendrix Experience. Elements of funk, R&B and soul shine through on Band Of Gypsys which wasn’t surprising, given Jimi Hendrix’s bandmates’ past. However, Jimi Hendrix’s trademark fusion rock and psychedelia is still present on Band Of Gypsys. What’s obvious, is that Band Of Gypsys was keen to take his music in new and different musical directions. He wasn’t going to be tied to the one musical genre, and instead, he was willing to experiment musically. Band Of Gypsys was just the start. 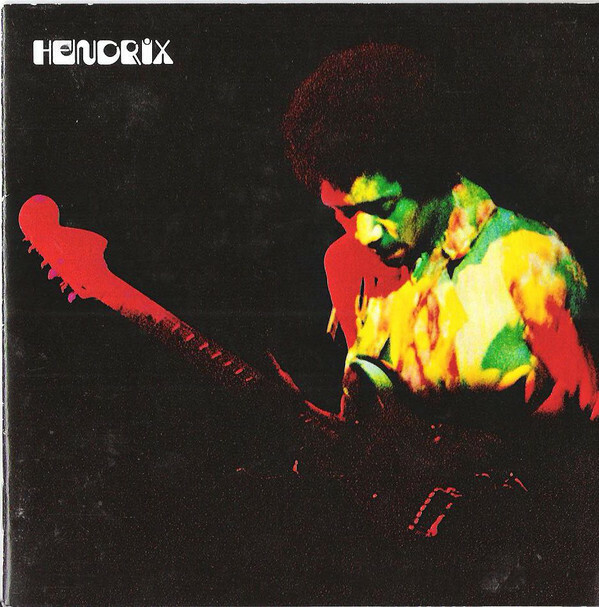 When critics heard Band Of Gypsys, they were won over by this captivating genre melting album. They realised that Band Of Gypsys was an ambitious album and believed that Machine Gun was the album’s highlight and centrepiece. It showed what musical maverick and pioneer Jimi Hendrix was capable of, even without The Jimi Hendrix Experience. Even after one album, it was obvious that like just the Jimi Hendrix Experience, the Band Of Gypsys was the perfect musical vehicle for Jimi Hendrix. Band Of Gypsys was released in Britain on the ‘25th’ of March 1970 and reached number six. Nearly three months later, on June the ‘12th’ 1970, Band Of Gypsys was released in America, and reached number five in the US Billboard 200. This resulted in Band Of Gypsys being certified double platinum after selling two million copies. Still it seemed that Jimi Hendrix could do no wrong, and critics and record buyers waited with bated breath to see what direction his career headed. After the release of Band Of Gypsys, Jimi Hendrix returned the studio, where he began work on his next album. Jimi Hendrix was a prolific artist, and recorded many tracks over a relatively short space of time. So much so, that by the time Jimi Hendrix headed to the second Atlanta Pop Festival on the ‘4th’ of July 1970, there were many tracks in various states of completion. This was more than enough for several album’s worth of material. Some of the new songs would be showcased by the newly reformed lineup of The Jimi Hendrix Experience at the Atlanta Pop Festival, which sadly would prove to be Jimi Hendrix’s swan-song. Lesser musicians than Jimi Hendrix would’ve been nervous about playing at the Atlanta Pop Festival, which took place in the heart of the Deep South. Not Jimi Hendrix, who relished the challenge of uniting a region divided. He planned to do this with the help of the newly reformed lineup of The Jimi Hendrix Experience. Sadly, bassist Noel Redding wasn’t going to take to the stage at Atlanta Pop Festival and Of Gypsys bassist Billy Cox would take his place. At least Noel Redding The Jimi Hendrix Experience’s original drummer was by Jimi’s side as they took to the stage. What had been a legendary power trio were about to try to unite a region divided. That’s what The Jimi Hendrix Experience went on to do. In the process, they wrote their place into music history by playing a starring role in what’s now remembered as the “last great rock festival.” Jimi Hendrix had united a region that had been divided. His message of unity, universal love and Freedom had him friends on both sides of the racial divide. Now Jimi Hendrix could concentrate on completing his next album. However, that never sadly happened. On the ‘18th’ of September 1970, music was in mourning. Jimi Hendrix, it was announced, was dead. The reports started that he had been found unresponsive around 11a.m. on the ‘18th’ of September 1970, at an apartment in the Samarkand Hotel, in Notting Hill, London. He was rushed to the St. Mary’s Abbot’s Hospital, but pronounced dead at 12.45p.m. Jimi Hendrix was just twenty-seven. However, music had lost one of the most influential and innovative guitarists of his generation. That was despite Jimi Hendrix’s career beginning just four years earlier. Since then, Jimi Hendrix had released a trio of studio album and one live album, and taken music by storm. By the time of his death, Jimi Hendrix was the highest paid musician and was vying for the title of rock’s greatest guitarist. Jimi Hendrix the flamboyant showman who had initially modelled himself on T-Bone Walker, had written his name into the musical history and would inspirer several generations of guitarists. Both Sides Of The Sky. Both Sides Of The Sky is the third instalment in a trilogy of compilations of posthumously released archival recordings that were meant to feature on the followup to Electric Lady. This began with 2010s Valleys Of Neptune and continued with 2013s People, Hell and Angels. Now Both Sides Of The Sky is the final instalment and transports the listener back to the late-sixties when Jimi Hendrix was at the peak of his powers. There’s thirteen tracks on Both Sides Of The Sky, including nine penned by Jimi Hendrix. They join covers of Muddy Waters’ Mannish Boy, Stephen Stills’ $20 Fine, Guitar Slim’s Things That I Used To Do and Joni Mitchell’s Woodstock. Fittingly, Jimi Hendrix recorded these tracks with members of the Jimi Hendrix Experience and the Band Of Gypsys. For the recordings, the Jimi Hendrix Experience’s lineup featured the classic drummer Mitch Mitchell, bassist Noel Redding and Jimi Hendrix on guitar and vocals. On the tracks that feature the Band Of Gypsys, drummer Buddy Miles and bassist Billy Cox join Jimi Hendrix on guitar and vocals. They’re joined by Stephen Stills who plays keyboards and adds vocals on $20 Fine and Woodstock, while guitarist Johnny Winters features on Things That I Used To Do. Saxophonist and vocalist Lonnie Youngblood features on Georgia Blues. Mostly, though, it’s just Jimi Hendrix joined by the two bands he made his name with… the Jimi Hendrix Experience and the Band Of Gypsys. Opening Both Sides Of The Sky is a genre-melting cover Muddy Waters where funk, rock and blues are combined to reinvent this blues classic. It gives way to Lover Man which bursts into life and Jimi Hendrix unleashes a fleet-fingered solo that is a reminder of why he was regarded as one of the greatest guitarists of his generation. The addition of this alternate take of Hear My Train A Comin’ is a welcome one, as Jimi Hendrix slows the track down and deploys effects and in doing so, shows another side to one of his finest hours. There’s an urgency to Stepping Stone where Jimi Hendrix plays with speed, fluidity and invention as he unleashes a powerful vocal. Stephen Stills plays keyboards which fills out the sound on $20 Fine, and delivers a soulful vocal. Later, Jimi Hendrix unleashes another blistering guitar solo and plays his part in the success of this hidden gem. There’s no stopping Jimi Hendrix now. He veers between blues, funk and rock on the first part of Power Of Soul which is a showcase for his guitar masterclass. After that, he adds a vocal that is a mixture soulfulness and emotion, as backing vocalists accompany him on what’s one of the album’s highlights. The tempo drops on the understated, spacious and ruminative instrumental, Jungle, where Jimi Hendrix seamlessly switches between funk and blues. The bluesy sound continues on Things I Used To Do, which features guitarist Johnny Winters. It’s proof if any was needed that two guitarists are always better than one. Slow, moody and bluesy describes Georgia Blues as washes of swirling Hammond organ accompany Jimi Hendrix’s searing guitar. Meanwhile, Lonnie Youngblood adds gravelly vocal and later adds blistering saxophone solo that adds the finishing touch. Straight away, Sweet Angel which was recorded in 1968 sounds like an instrumental version of another song Jimi Hendrix wrote, Angel. Here, he plays rhythm and lead guitar, and also plays vibes as he shows his versatility. Stephen Stills returns and adds a vocal and plays Hammond organ on an anthemic version of Woodstock. Send My Love To Linda was recorded with the Band Of Gypsys in January 1970 and finds Jimi Hendrix’s guitar and vocal taking centre-stage. Later, he unleashes another flawless blistering guitar solo that is one of the best on Both Sides Of The Sky. It closes with the atmospheric and cinematic instrumental Cherokee Mist where Jimi Hendrix’s replicates an array of sounds that is reminiscent of his version of The Star-Spangled Banner. This is a real find and the perfect way to close Both Sides Of The Sky and the trilogy. Both Sides Of The Sky is just the latest lovingly curated release from the Jimi Hendrix archives, and is a tantalising taste of a true musical legend at what was the peak of his powers. Between 1967 and 1970, Jimi Hendrix could do no wrong, whether it was with the Jimi Hendrix Experience or the Band Of Gypsys. Sadly, the Jimi Hendrix Experience only released three studio albums between 1967 and 1969 and the Band Of Gypsys one live album in 1970. However, each of these albums are regarded as classics and featured one of the greatest guitarists at the peak of his powers. These albums only document part of the story of Jimi Hendrix’s career in the studio. Jimi Hendrix was a truly prolific artist and at the time of his death, he had been working on the followup to Electric Ladyland. While many musicians struggle to record an album, there was nearly enough for four studio album. Then there was all the other songs that Jimi Hendrix recorded between 1967 and 1970 which has been released on twelve previous studio albums. Both Sides Of The Sky is the thirteenth album featuring unreleased tracks, and still the material is of the highest quality. Indeed Both Sides Of The Sky is a veritable treasure trove which features the different sides to Jimi Hendrix as he flits between and combines blues rock, funk, psychedelia and rock with the help of the Jimi Hendrix Experience and the Band Of Gypsys. They’re joined by a few friends on an album that is a poignant reminder of one of the true musical greats. During his short but successful career the Jimi Hendrix Experience and the Band Of Gypsys were the perfect showcase for Jimi Hendrix who always played his guitar as if his life depended upon it. Especially when they played live and Jimi Hendrix became a flamboyant whose raison d’être was to entertain. This technically brilliant guitarist was a true showman, playing his guitar behind his back, other times with his teeth and was known to set his guitar on fire. It was as if Jimi Hendrix was trying to exercise some inner demons through the medium of music during a career that spanned the four-year period between 1967 and his death in 1970. Sadly, on September the ’18th’ 2018 it will be forty-eighth anniversary of Jimi Hendrix’s death. This year, if he had lived, Jimi Hendrix would’ve been celebrating his seventy-fifth birthday. This makes the release of Both Sides Of The Sky all the more poignant as one can’t help wonder what heights he would’ve reached had he lived? Would Jimi Hendrix gone on to enjoy the long and illustrious career as many people be believed he would? Maybe he would’ve become a musical chameleon constantly reinventing his music in an attempt to stay relevant. There’s always the possibility that Jimi Hendrix best years were behind him and that this otherworldly musical visionary had expounded all his creativity by the time of his death. That is highly unlikely, Jimi Hendrix was a truly prolific, versatile and talented artist who recorded more music in four years than many artists record in a lifetime. This includes the thirteen recordings on Both Sides Of The Sky, which are part of Jimi Hendrix’s musical legacy, and a reminder of the boy who dared dream after seeing T-Bone Walker playing the guitar with his teeth. ← DEUTSCHE ELEKTRONISCHE MUSIK: EXPERIMENTAL GERMAN ROCK AND ELECTRONIC MUSIC 1972-1983. An amazing poet and a senseless early death. Had no idea there was so much released post his death.